Leopard & Lace: Stress Free! Sometimes life can get stressful especially when you have a full time job and various other stressors day to day. I have a few things that I do to keep my stress levels down and thought I'd share them all with you! One of my favorite stress free tricks is to take a steamy hot shower. There is just something about melting away the stress with a hot shower. I've always been a water girl and there is just something about water that automatically calms me down. Swimming is a good stress reliever too! When I take a stress reliever shower, usually I shave my legs...there's nothing better than freshly shaved, smooth legs! I always use peppermint shower gels in my stress reliever shower...my favorites are Philosophy Candy Cane shower gel and Dr. Bronner's Magic Peppermint soap! There's just something that makes your day better when buying yourself fresh flowers and a cup o' joe! Flowers always make my home feel brighter and cheery, so I automatically get in a better mood! And coffee, for me at least, always does the trick. 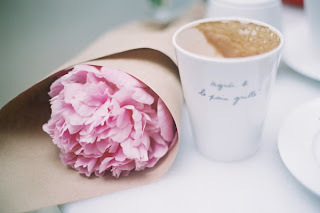 I guess buying myself two of my favorite things...flowers and coffee...is an instant stress reliever! What else can make you feel more like a kid than your favorite childhood movies? It brings me back to a time when I didn't even know stress existed! My top 5 favorite movies from my childhood are: Willy Wonka and the Chocolate Factory, Seven Brides For Seven Brothers, Aladdin, The Sound of Music, and That Thing You Do! I guess I have a thing for movies that involve singing? 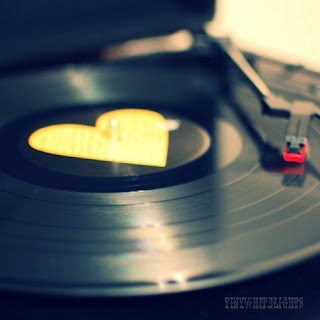 The great thing about music is that you can find any song to fit the mood that you are in. When I'm feeling stressed, I can go either of two ways with music. One, wanting to listen to up beat music to make me dance and laugh...or two, wanting to listen to relaxing and calming songs. I love listening to albums on vinyl because there is just something about that light crackling noise that it makes...it reminds me of laying by a fire. I have to say that my favorite artists to listen to on vinyl are The Beatles (of course), Florence + the Machine, and Barbara Streisand. Well, I hope my stress free tips help you find peace in your life! What things help you relieve stress?